While they might not be going for their green jackets or winning any majors -- yet --, the Sonoma State men and women's golf teams have sure been been feeling like the pros this past week. The women's team won for the third time in program history the Sonoma State Spring Invitational on April 4 and the men's team beat No. 25 Chico State by one stroke to win the Hanny Stanislaus Invitational in Turlock on April 11. To top it all off, both teams are on the verge of qualifying for their respective NCAA Division II Tournament. The women's golf team was led by senior Haley Whitbeck who received co-medalist honors on April 4 during the final regular season tournament of her university career. 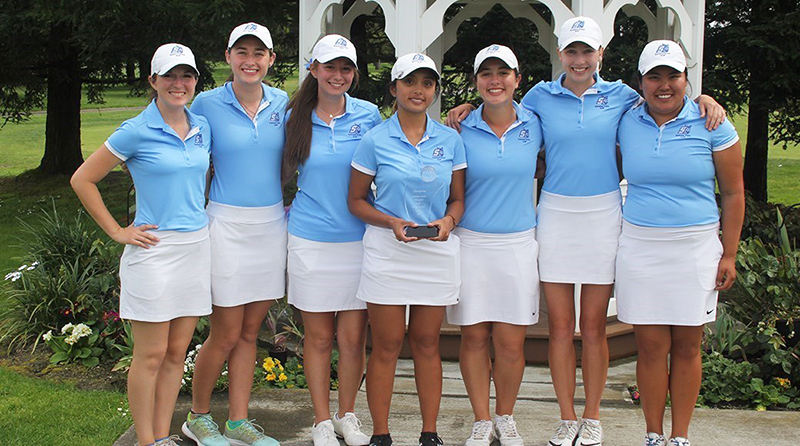 This win marks the first SSU Invite since 2011 for Sonoma State University. The victory was a steady one for the Seawolves as they had a 17-shot victory over runner up Cal State Monterey Bay. It was Whitbeck's second individual medalist honor of her career. The first came in Hawaii in October 2014 during the Dennis Rose Invitational. The women's team is expected to qualify for the NCAA Division II tournament for the third straight year. It would mark the eighth time that the team makes it to the NCAA Division II tournament in the programs short 10 year history. The tournament selections will be made public on May 1. For the men, senior Justin Shulker led a top-five finish with scores of 72, 73 and 73 to total a 218 (+2) in the 54-hole event. During the invitational's final day they overcame a five-stroke deficit to achieve a comeback and earn its second ever Hanny Stanislaus Invite with a score of 875 (+11) With the win, the Sonoma State men's golf team is now listed in the NCAA Rankings at No. 7 in the West Region. In order for the team to qualify for the tournament for the fifth time in a row, they need to stay in the top ten until April 28 when the tournament selections are announced. If the Seawolves qualify it would mark their 11th appearance at the tournament in the last 12 years.